what I need to find is a T 4.0 aluminum rear brace. 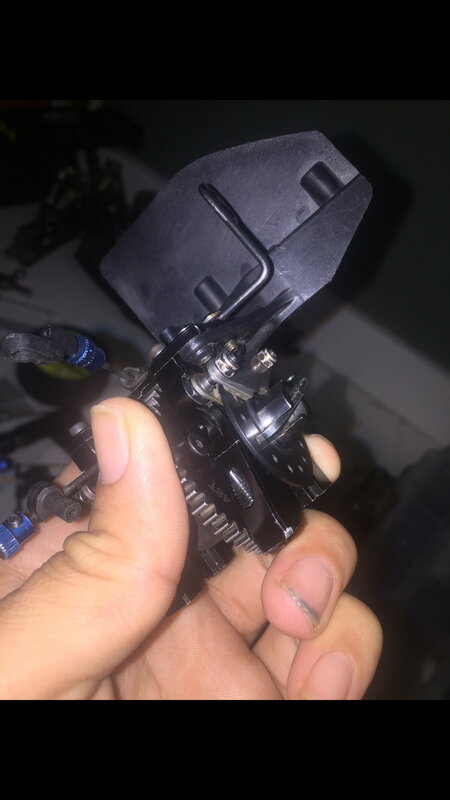 The plastic one allows the chassis to flex, and I have noticed a half moon mark on the backside of my fuel tank from the face of the clutch bell gear. I wonder if aluminum gas tank post mounts would solve that issue? 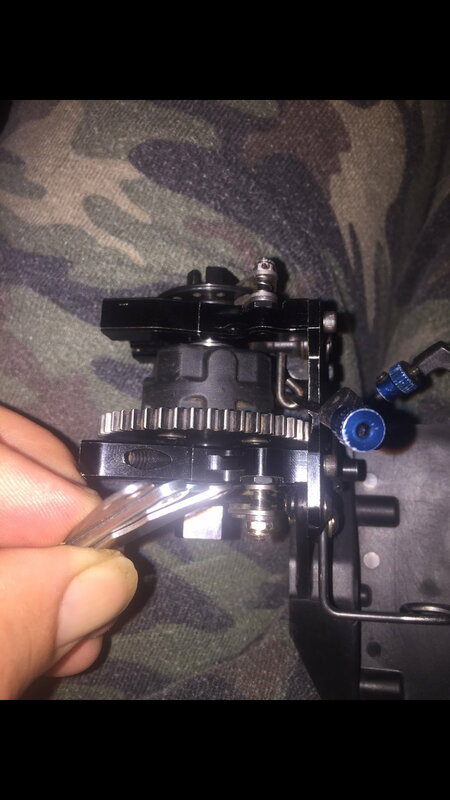 You should also make sure your using the countersuck screw that goes in the end of the crank that connects the clutch bell, I ran into my tank having the half moon only when I messed up and used a big head screw instead of the countersick and that made me hit the tank bad. Its been a long long time since I ran that stock 51 gearing in truck so I’ll check it all out if my 50 tooth clears it since it’s what I use. If not I guess I’m trying that gearing u have. Imagine having the Aluminum brace with the aluminum center diff mount everything is going to stay really really secure. Brakes will be really good. I believe TLR says it requires a 49T gear or smaller...but I never found anything other than a 48 which I'm fine with. I am using the counter sunk screw for the clutch bell. the gear on my clutch bell sticks out farther than the screw. I believe the gas tank plastic post's flexed hard and moved it 1/4" back into the clutch bell. I may throw some aluminum posts in there. Bad News...M2CRacing.com discontinued the Losi 3.0 radio box stiffener...they had 1 in stock so I ordered it. They apologized for the mistake and refunded my money. I then found one on Ebay and ordered it...same thing...they made a mistake (which was creating an Ebay ad for an item they did not actually have?) and refunded my money. So I guess ill be having one made. 51 tooth is stock and all I run. The mark on the tank is common. I've never had an issue where it ruins the tank. I dont like the KH stiffener. Makes the truck less reactive and harder to drive on rough tracks. Who else makes a rear brace? Ive been thinking about having one machined out of delrin...might be a medium strength between plastic and aluminum? I dunno...just an idea. making a radio box brace from endlinks with ball ends for through bolts, and a screw with the head cut off. Has anyone converted to electric? And is there any issues? Does anyone have an electric they want to get rid of? het guys I was able to get these to work but wanted to show u have to work around a few problems you will run into using this set up. Personally I know it’s going to rock because it’s going to be rock solid. I however do have a few of my own questions. First off you won’t be able to use the tuning kit breaks without a few things I was lucky enough to still have laying around, the new pads actually need super old ‘thin’ pads from I believe the 1.0 days as spacers, the pads you will be replacing are similar but about 3 times the thickness as the old 1.0 pads, however if u don’t use them in the correct spots the brakes just don’t work because both sides have different issues, the rear brake you have to put the pad as a spacer between the point of contact with the cam and break, and on the front you have to use the pad as a spacer on the far side where the nuts hold on, both pads used as spacers make the pads and rotor have the perfect spacing, on the rear brake you use it behind the pads so the cam pushes on it, reason is if u don’t use it as a spacer there the actual inside pad will center completely off angle due to the shape of the new rear pads being nothing like the regulars brakes, they have a shape more like the bigger lower hanging front brakes and these aluminum diff mounts are milled for the brakes to be small like the standard rear ones are. 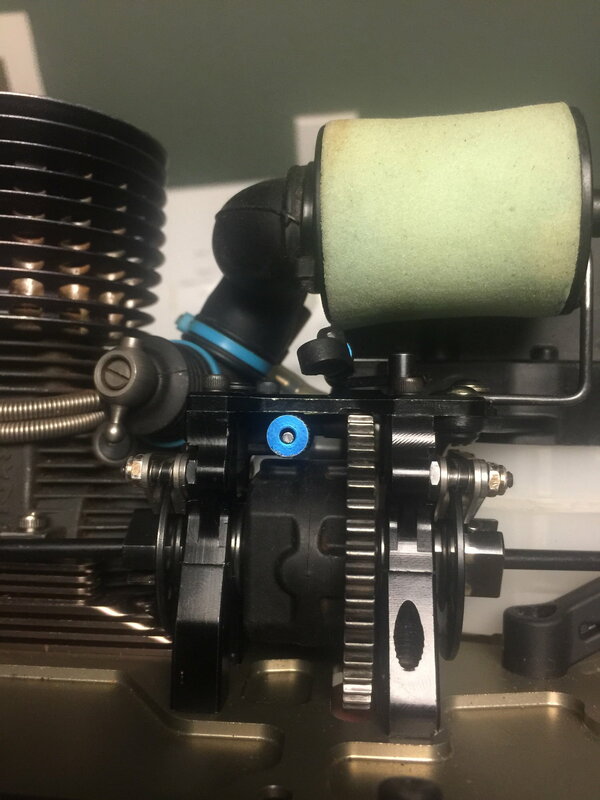 One of the problems I’ve had (not just with it on the 4.0) is the aluminum center diff mount kinda affects how smooth my drivetrain spins. After knowing this awhile I stopped using these and saved this newer one for when I could figure out how to use it affectively. 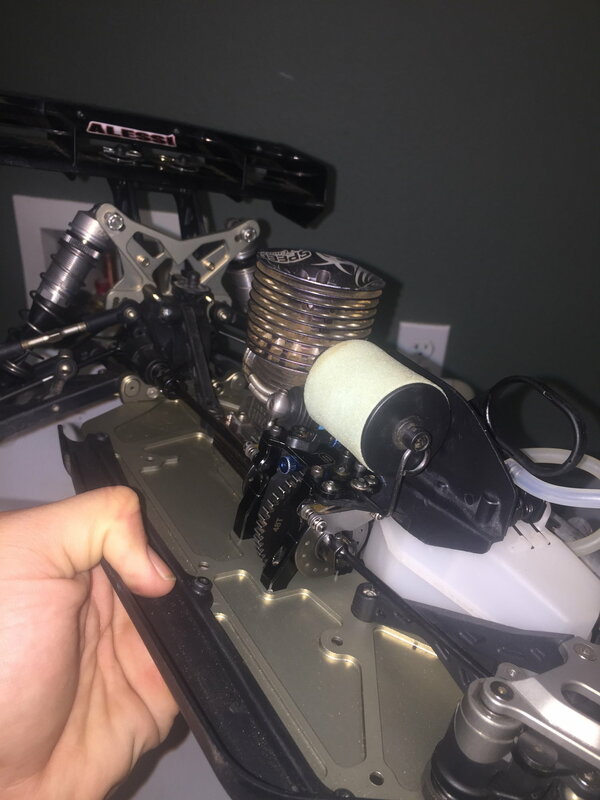 So i spent half hour testing it against the stock plastic set up with the brakes taken off of just the plastic stock set up and kept switching back and fourth my whole center diff and it still does affect how free it spins and I don’t know why. The only way I can get it to spin just as free is if I loosen the top screws a hair and even the bottom and the drivetrain comes back to life. Is there anything that u guys can think of? Maybe lock tite in the threads need to be acetoned out? Or somethings not tightening down correctly and causing bind? I used the upgraded brakes and pads without issue on my aluminum center diff mount. I left out the springs, and i used flat washers behind the nyloc nut instead of another brake pad. Required a little tuning to get the cam to engage the back of the inside pads, but overall it wasn't bad. my drivetrain did not spin freely at first, but after a few tanks of fuel through the engine and actual load on the drivetrain, it now spins like butter. I was thinking maybe it just needed a break in period to get everything to settle in. I will try that. Behind the rear pads tho I def needed that this pad so the cam presses the brakes on correctly. Shins would work up front but on the rears I wasn’t sure and knew the thin pad I had would space it perfect and allow me to set it up somewhat normal so that’s why I used what I have on it. I know I’m gonna love it but I know the aluminum center diff mounts really make everything solid in the center and the clutchbell really takes that hit and chews up gears faster. 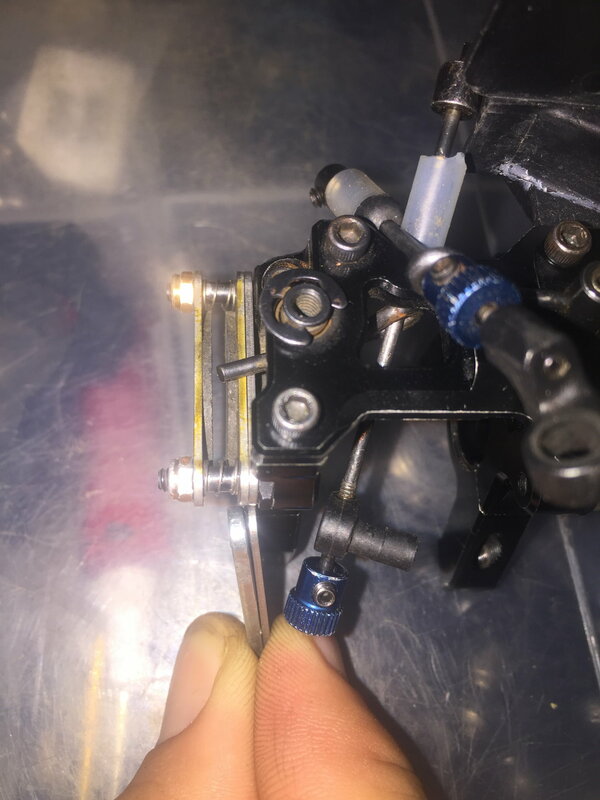 I also know it made the diff cup get notches from the extra load on the pins inside which start making grooves that cause the notchy feel so I’m going to buy a few extra cups to keep everything fresh and rebuilt when the center diff gets hot after long motos.